Shovels made their first appearance as early as 1835, and were mounted on rail tracks and powered by steam at that time. Those shovels were slow in action and were very clumsy. As time passed they became stronger, faster and lighter and left the rails to move on crawler tracks and sometimes on rubber tyres. A shovel consist of a bucket (dipper) rigidly attached to the end of a steel structure known a a dipper stick. The dipper stick, which can play forward and backward, is held in position by a cable on the bucket side while it is supported by a pinion on the other. The pinion and rack on the underside of the dipper stick is in constant mesh. These pinions are held in position on a heavy structural member known as boom. The boom is pivoted at its underside with the turntable, while the top end of the boom is held in position by means of a cable known as the boom hoist cable. Crowd - moving the dipper handle out or in to control the depth of cut and when positioning to dump. 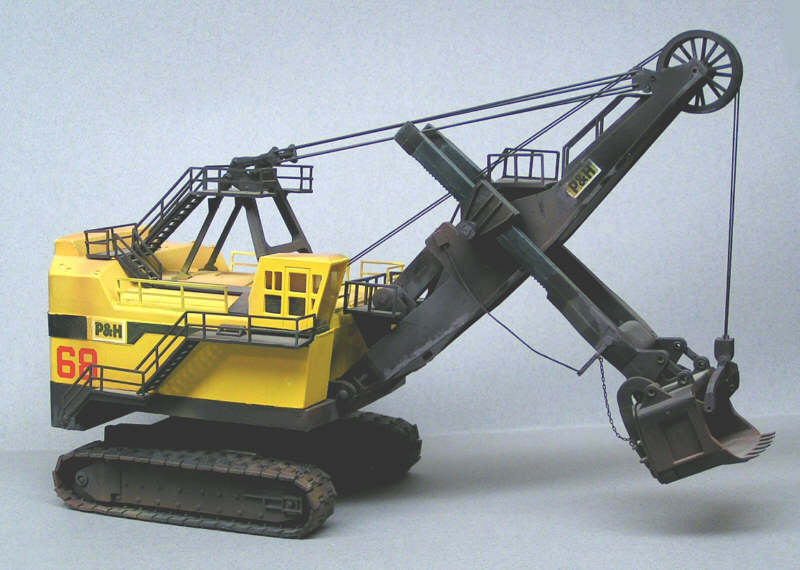 Swing - rotating the shovel between digging and dumping. The digging phase consists of crowding the dipper into the bank, hoisting the dipper to fill it, then retracting the full dipper from the bank. The swinging phase occurs once the dipper is clear of the bank both vertically and horizontally. 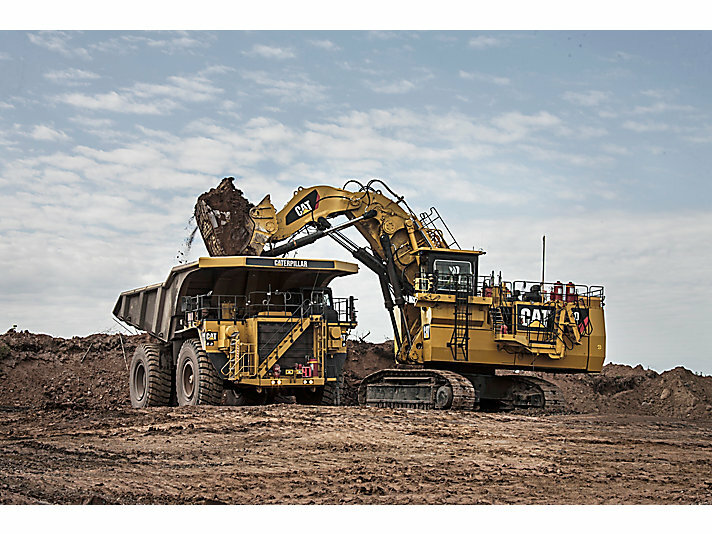 The operator controls the dipper through a planned swing path and dump height until it is suitably positioned over the haul unit (e.g. truck). Dumping invovlves opening the dipper door to dump the load, while maintaining the correct dump height. Returning is when the dipper swings back to the bank and involves lowering the dipper into the truck position to close the dipper door.